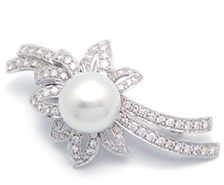 We provide professional cleaning service to maintain your jewels beauty. The jewelry designer Ellen creates every piece as a unique product. We supply satisfy gem resource and delighted to help customer to find their prefect gemstone. You can design your own jewelry from here. GIA and reliable Gem Laboratory delivering service.